Why are words so confusing? The answers. If you read this post, you probably have already thought about the incorrect sentences given and know which words are incorrectly used. Here are the sentences again with an explanation of what is wrong after them. Effect is a noun but in this sentence, the auxiliary (do) precedes it so a verb is needed. Affect is the verb which is often confused with the noun effect. Strong coffee has no effect on me. to have an effect on something. Economical is an adjective that means something gives good value or return in relation to the money spent or resources used. It also means something does not use many resources or much money. e.g. My car is quite economical. Its doesn’t use much fuel. Economic is an adjective which relates to the economy or the study of economics. In our sentence above, the context suggests we are talking about the economy (high taxation) so economic would be the correct adjective to use here. So is often incorrectly used instead of too. To make this sentence work, so busy needs to be followed by that+clause e.g. He was so busy that he couldn’t do his homework. Too+adjective is followed by the full infinitive e.g. He was too busy to do his homework. Opportunity suggests that something is possible because the circumstances are good or right for something to happen e.g. The party was a great opportunity to meet new people. The opportunity to meet people is there because you are at the party. Possibilitysuggests that something might be true or might happen. It is often followed by of or that e.g. Do you think there is a possibility of life on Mars? Besides means in addition toe.g. Where are you going besides the cinema? Beside means next to e.g. I was standing beside the IELTS examiner. When you find a word that you mistake for another, make sure you look it up in a dictionary or on Google. Try to use the word in a piece of writing or when you are speaking. We can only learn how to use a word correctly if we try using it! One common mistake that students make when writing in English is that they put pen to paper before they have really thought about what they are going to write. They read the question and start writing. This is really not a very good strategy. Even the shortest piece of writing should be planned. The problem is, lots of students really don’t know how to plan. The first thing to do is read the question carefully. Identify keywords and underline them. Make sure that you have identified exactly what you are being asked to write. This task identification stage applies to all types of writing. You should do it even when you are writing a letter or an email in your own language, especially when you want to make a good impression. You are advised to spend no more than 20 minutes on this task. You tried to book a course at City of Bristol College. You received confirmation of your booking but the course listed in the confirmation was the wrong course. Money has been deducted from your bank account. Write a letter to City of Bristol College and explain the situation and why it worries you. The course starts in one month. Find out whether you need to reapply for your course and how to pay for it. Also, request information about term start and end dates. You do NOT need to write your address or the college address. Can you answer these questions? Try to answer them without looking back at the question. 1 What are you writing? 2 How long have you got? 3 How many words should you write? 4 What are your concerns? 5 What other information would you like? If you can answer these questions easily, you have started to plan the content of the writing task. If you can’t answer the questions, perhaps you haven’t read the writing task carefully enough. It is very important that you practise understanding writing tasks and make sure that you can quickly identify what the task type and the core content needed to answer the task correctly. A formal letter. Do you know what this is and how to structure it? You shouldn’t take more than 20 minutes on a task one writing task. If you take longer than 20 minutes, you might find that you do not have enough time to answer writing task two properly. 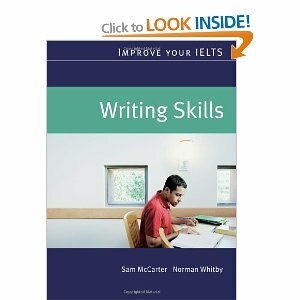 You need to write answers to both tasks to get a good IELTS band score for your writing. The minimum number of words needed to answer this question properly is 150. If you write fewer than this, you may score badly as you need to write at least 150 words to answer the question properly. They seem to have booked you on the wrong course and debited your bank account for it. The course starts soon (in one month) and you need to know what to do next. You would like to know the course term dates. Now you must think about the structure of the letter. All pieces of writing can be divided into three clear parts. Do you know what to write in each of the writing parts listed above? Why not think about it for a minute before reading the next part. It is very important that you can identify which parts of your writing go where. This should explain why you are writing your letter. Read this post to find out about starting and ending your pieces of writing. This should express your concerns and worries about your enrolment. You should also ask about the course term start and end dates. You should say what you expect to happen and thank the college for their time. The above procedure may seem very simple and obvious but it is incredible the number of IELTS candidates and English language students there are who do not plan their answers to writing tasks at all. A lack of planning can lead to a disorganised answer that does not contain all of the information required to answer the question effectively. If you don’t answer the question effectively, your IELTS writing band score won’t be as high as you need. Planning can be as simple as reading the question, understanding the question and then identifying which parts of your answer go where in the written task. The most important thing is to delay putting pen to paper for a few minutes so that you know what you are going to write and where you are going to write it. Make notes of your ideas and thoughts. Write down language you could use in your answer. The most important thing is to practise. Find examples of writing tasks and plan your answers to them. Never spend more than 25% of available time planning but always make sure you do it. Coming soon. A model answer to the writing task above. Was that a good interview? In “Why does the examiner keep asking me questions?” we looked at how giving full answers to interview questions is very important. Most IELTS candidates try very hard to perform well in their interview and really want to know what the interviewer thinks about the interview, once it is over. is it okay to ask the examiner for immediate performance feedback? An IELTS teacher told me a very sad story the other day. Her student needed a IELTS band score of 6.5. The candidate was weak but had worked very hard. The IELTS teacher felt that the student needed more time to prepare for the exam but the student had personal deadlines and needed to take the exam as soon as she could. At the end of the IELTS interview, the student asked the IELTS examiner if her interview performance had been acceptable. The examiner told her not to worry and that she had performed well. The student was very happy. Time passed and the results came through. This student had achieved a overall band score of 5 in the IELTS exam but had a 5.5 in the IELTS speaking exam. The teacher thought that this IELTS band score was a true reflection of the student’s level of English but also thought that the student must have put in a superb performance to achieve a 5.5 in the IELTS speaking exam. 1 The IELTS examiner does not know what band score you need so asking whether your speaking exam performance was good (or bad) is relative only to the performance itself. If you ask for your grade directly, the examiner will not give it. The examiner needs time to reflect at the end of the speaking exam before giving you a speaking band score. 3 The best judge of performance is often you. You will know how well you have done but you won’t know what IELTS band score the IELTS examiner will give your performance. The student was upset but eventually realised that she needed to study more to improve her level of English so that she would have a better chance of getting her target IELTS band score of 6.5. She worked hard for another 4 months and she eventually achieved her IELTS goal. Why does the examiner keep asking me questions? The examiner needs you to speak so that your oral fluency and accuracy can be assessed. It’s difficult to do that if you are silent and it’s really not practical for the examiner to just ask you to speak. Examiner: Good morning. Please sit down. You (smiling but confused): Well? Examiner: You have twenty minutes. Speak. The questions that the examiner asks you are not meant to trick you or confuse you. You might feel confused if you don’t listen to the question properly but the examiner really does want to give you every opportunity to speak. The questions are designed and asked to give you something to speak about. When you answer the questions, you have a chance to show off your English and demonstrate what you can do. There’s no point answering the questions with a one word answer. Put yourself in the examiner’s shoes. What IELTS speaking band grade should the following IELTS candidate get? Examiner: Do you study or work? Examiner: Okay. What are you studying? Examiner: That’s interesting. Which science are you specialising in? It would be really difficult the grade the English heard. The examiner might feel frustrated and would be forced to give a low grade based on the performance of the IELTS candidate. This would be sad, especially if the IELTS candidate was able to produce better English than this. When you are being interviewed, you have to put on a show. You have to perform and during your performance you must demonstrate your level of English. Interviews are an artificial situation : both for you and for the IELTS examiner. You are not chatting over dinner in an expensive restaurant. 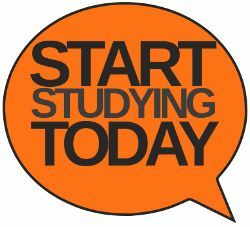 More often than not, you will be one of many candidates that the IELTS examiner will interview during the day and examiners can get tired. Don’t make them work too hard : help them to see that your English is fantastic by giving full answers to their questions. How could you answer this question in a full sentence (or more!) of at least ten words? Think about it for a minute or two before you read the answer of our fictional IELTS candidate below. Notice how the IELTS candidate answers the question but gives lots of detail. The candidate mentions their current job and also their plans for the future. The candidate also states how they feel about the current job. Look at the following questions. How could you answer them in a sentence of 10 words or more. Could you give 2 sentence answers? 3. What time of day do you prefer? 4. Do you eat a lot of meat? 5. Do you prefer camping or hotel holidays? Don’t forget to give reasons for your answer. Try to explain your answer. The only way to get better at answering questions fully is by practising every day. Find lists of possible IELTS speaking questions and think about how you would answer them.